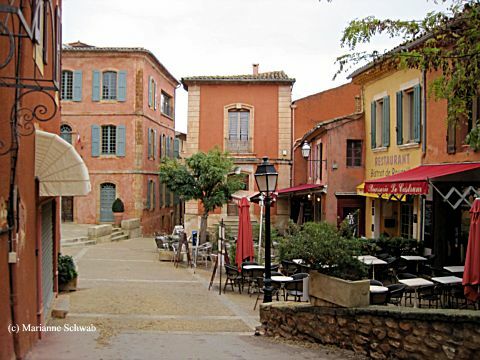 The Luberon region is full of charm and picturesque hilltop villages like Roussillon, France. You will be enchanted by this tiny town located in the heart of one of the biggest ochre deposits in the world. 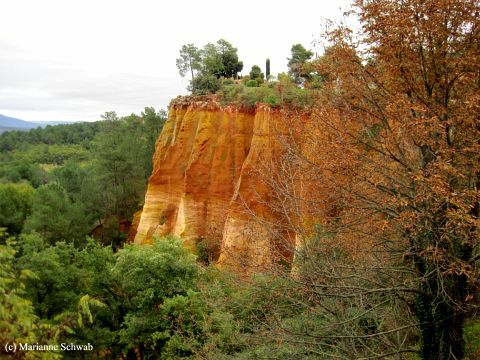 In fact, Roussillon is famous for its magnificent red cliffs and ochre quarries. I was surprised by the beauty of this magical site with red, yellow and brown shades of cliffs that reminded me of the Grand Canyon, but with more vibrant colors. 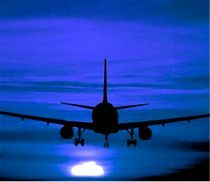 It is like walking into a painting with endless combinations of colors ranging from yellow to purple and all the shades in between. The ochre is a natural pigment that was used in paints and the town is also famous for its dyes which were used all over the world. 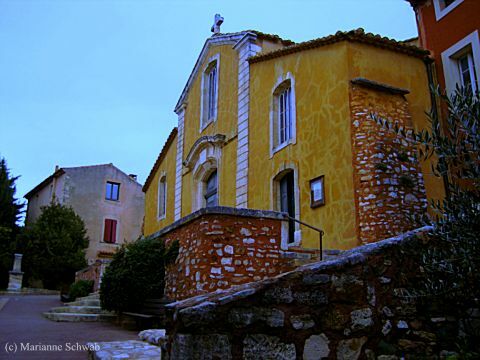 The village of Roussillon, France, is considered one of the most impressive villages in the country and is one of the "must-see places" in the Luberon. 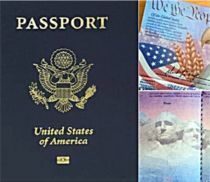 The region is a favorite destination for French high society in addition to British and American tourists because of the picturesque hilltop villages. 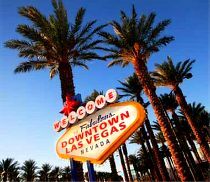 Make sure you plan enough time to stroll around the delightful and scenic maze of streets and squares. 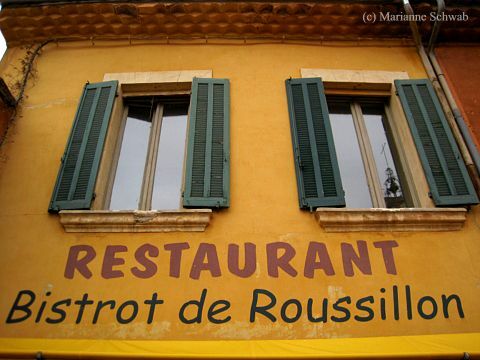 Roussillon, France, also has many restaurants with several of them clustered in the main square. 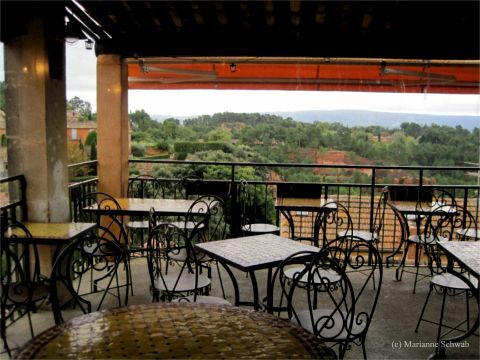 I stopped here at the Bistrot de Roussillon and enjoyed a delicious espresso and tasty pastry on the balcony of the restaurant overlooking the village. The village is a never ending scene of picturesque photo opportunities. 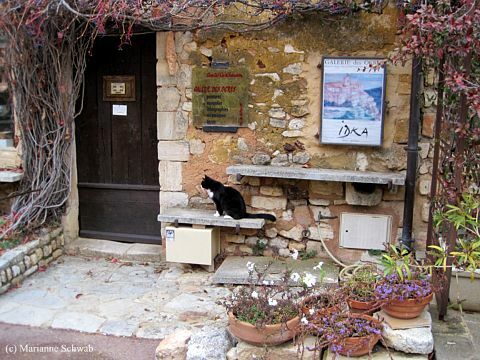 The charm of the front door and patio of the home above is enhanced by the little black and white cat and, as you know, the French love their cats, but of course. 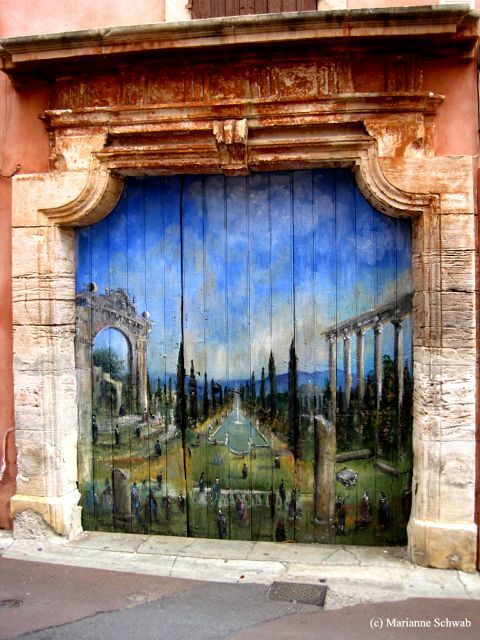 Roussillon is full of interesting and photogenic doorways including many lovely murals. I wanted to show you the context of this mural as you look down the narrow street and it captures your attention. 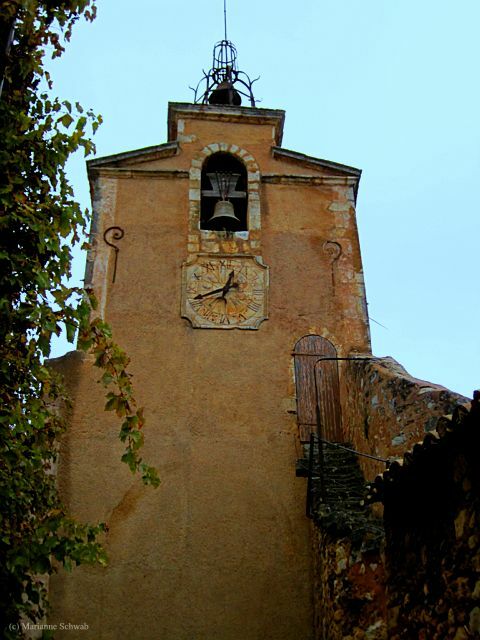 As you walk up to the top of the village to get a great view, don't miss the 19th century clock and bell tower, topped by a wrought-iron belfry. This was formerly a watch tower for the village. 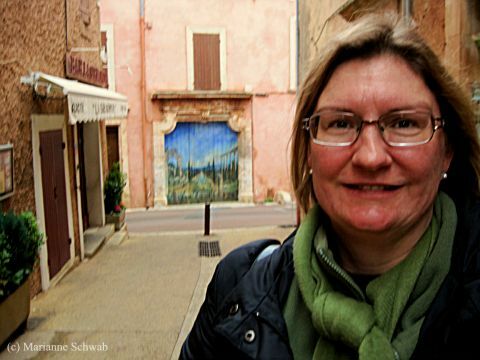 One of my most wonderful discoveries while I was exploring Roussillon was a small church. The door was open and I stepped inside and enjoyed solitude and sanctuary. I couldn't believe the amazing artwork inside the chapel - from oil paintings to stained glass windows. 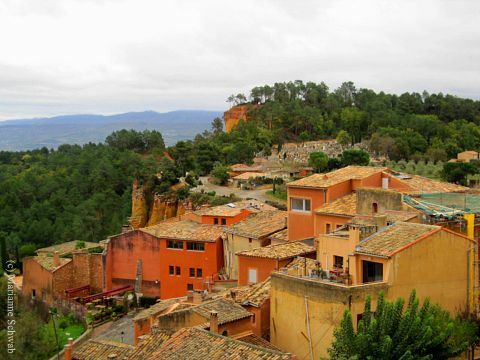 The village of Roussillon, France, is surrounded by beautiful countryside and is located at the foot of the Monts de Vaucluse and if you walk up to the Castrum at the top you get some wonderful panoramic views. These restored houses show the full range of ochre shades. From apricot to burgundy to gold, mustard, russet and brown and are contrasted by the brightly painted shutters and doors. From the base to the summit of the village and its magnificent view, Roussillon is a delightful place to visit. If you're visiting Provence, also plan to visit the nearby town of Lourmarin, the most beautiful village in France.